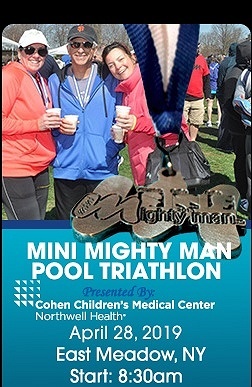 Subject: LongIsland.com - Your Name sent you Event details of "Mini Mighty Man Pool Triathlon"
The Mini Mighty Man Pool Triathlon will be held on April 28th. Competitors will swim for 400 meters, bike for 6 miles, and run for 2 miles. For registration details and additional information, visit the event's sign-up page.